This series of Professional Notes focuses on donor-advised funds. This first column examines the popularity of donor-advised funds and their legal underpinnings. Future columns will consider some of the rules affecting contributions to donor-advised funds and grants from such funds. Donors have a number of options for their philanthropy. One important option is a community foundation, a charity grounded in its geography with extensive knowledge of local needs and the organizations that can best meet them. For more than a century, community foundations—such as The New York Community Trust—have been building permanent charitable resources to meet the current needs of their communities and the unforeseen needs of the future. When The Trust started in 1924, our donors set up unrestricted or broad field-of-interest funds, primarily through bequests, trusting tomorrow’s leaders to spend the resources wisely. Today’s donors may also establish a donor-advised fund within a community foundation to carry out their current charitable objectives. Other charities, including universities and religious federations, also offer donor-advised funds. So-called “national gift funds”, including those associated with financial firms, are another donor-advised fund option. Because they are national and may have little or no program staff, these national gift funds may not be equipped to offer donors information about local charities and may have limited capacity to provide philanthropic guidance generally. A donor who is considering donor-advised fund alternatives should treat a community foundation’s grantmaking experience and expertise as an important factor in the decision. Private foundations are another option for some donors, but as foundations transition from one generation to the next, family and professional advisors may want to consider the role that one or more donor-advised funds can play in family philanthropy. A quick comparison of donor-advised funds and private foundations is on the back page. Ease of set up and recordkeeping. A donor-advised fund (commonly called a “DAF”) can be opened in a day. A private foundation, on the other hand, may wait months to get IRS approval. The DAF donor need not worry about separate reporting; a private foundation must file Form 990-PF annually with the IRS and also may have state filing requirements. Ease of grantmaking. Donor-advised funds can readily make grants to Code Section 170(b)(1)(A) publicly-supported charities (such as churches, educational organizations, hospitals, other charities that meet the public support test), private operating foundations, and certain types of supporting organization. Most donor-advised fund sponsors allow donors to make grant suggestions online. Although donors legally may recommend grants, final control rests with the charity-sponsor of the donor-advised fund. In this structure, donors find that the sponsors seek to facilitate good grantmaking, not only by ensuring that recommended grantees are recognized by the IRS but also by providing donors with information about developments or trends relevant to the donors’ interests and priorities. Ease of contributions. Some donors may give to a donor-advised fund once or infrequently, when they have a big cash-generating event, such as the sale of a company or the receipt of an inheritance, with the expectation the funds will be granted out over an extended period of time. Other donors are highly transactional, contributing to the donor-advised fund regularly and granting it out over a short period of time. Because donor-advised funds are established at public charities, donors enjoy preferential tax treatment relative to the treatment accorded comparable gifts to a private foundation. Personal service. The New York Community Trust is staffed by experienced professionals. The members of our grantmaking staff are experts in a diverse array of fields: youth and workforce development, girls and young women, hunger and homelessness, social services, community development, arts and culture, and the environment, among others. They know their fields, and they know the issues, trends, and effective organizations nationally and in New York City’s five boroughs, Westchester and Long Island. The Trust vets every organization it is asked to support. Cost effective. A donor-advised fund is inexpensive and investment fees generally are modest, leaving more money for grants. Investment options. Many donor-advised sponsors offer sophisticated investment management. The federal tax law recognition of donor-advised funds began with the Tax Reform Act of 1969, which created the distinction between private foundations and public charities and imposed a number of restrictions on private foundations. Ensuing regulations permitted a private foundation to terminate and transfer its assets to a fund at a public charity, provided the transfer or did not impose any material restriction on the distribution or investment of the assets. These regulations permit a transfer of assets by a private foundation to a public charity if the private foundation (or a disqualified person with respect to the foundation) provides advice, but does not control the disposition of the assets. Parts of the regulations were then integrated into the community foundation regulations, enabling a fund created at a community foundation by to be considered a “component fund” of the community foundation, rather than a separate entity and as such a private foundation. These tax regulations, and the increasing visibility of community foundations, helped make donor-advised funds popular with donors. The exponential growth of donor-advised funds, estimated to hold some $110 billion in assets as of 2017, has raised a host of questions about their proper administration, as well as some allegations of abuse. Concerned that donors exercised de facto control over assets contributed to some donor-advised funds, and the possibility that such contributed assets were not being used for charity, Congress included extensive rules governing donor-advised funds in the Pension Protection Act of 2006 (the “2006 Act”), and these rules and subsequent regulations and rulings are discussed in the pages that follow. with respect to which a donor (or any person appointed or designated by a donor) has, or reasonably expects to have, advisory privileges with respect to the distribution or investment of amounts held in such fund or account by reason of the donor’s status as a donor. These three prongs of the definition warrant additional explanation. Separately identified by reference to contributions of a donor or donors. The sponsoring organization must reference the contributions of a donor or donors to the particular fund or account on its books and records, by, for example, naming the fund after a donor, or by attributing contributions to a specific donor or donors. Therefore, a fund of broad, general interest that attracts contributions from multiple donors generally will not be considered to be a donor-advised fund, even if it has an advisor or advisors, provided the contributions of specific donors are not tracked for attribution purposes. Owned and controlled by a sponsoring organization. A “sponsoring organization” is defined as a public charity (other than certain types of supporting organization) that maintains one or more donor-advised funds. In order for a fund to be treated as a DAF, the sponsor organization must have ownership and control over the contributions to the fund. A donor or any person appointed or designated by the donor has advisory privileges. The 2006 Act does not provide a complete definition of “advisory privileges” other than to refer to advisory privileges as to distributions (grants) or investments of amounts held in the fund by reason of the donor’s status as a donor. The Joint Committee Report notes that the presence of an advisory privilege may be evidenced by a written agreement, even if the privilege is not exercised, or through the conduct of a donor or donor-advisor and the sponsoring organization. The legislative history also distinguishes advisory privileges from enforceable legal rights.The Joint Committee Report offers two notable exceptions or carve-outs to the concept of providing “advisory privileges.” First, a donor is not deemed to be exercising advisory privileges if he or she is providing advice in a capacity as a board member or employee of the sponsoring organization. Second, with respect to the statutory exceptions to the definition of a donor-advised fund (discussed below), a donor’s recommendation to the sponsoring organization of individuals to serve as advisors on grants or investments will not be treated as “appointments” or “designations” by the donor so long as the donor employs objective criteria related to the individual’s expertise. This latter carve-out is applicable particularly to scholarship funds where the donor selects advisors based on their expertise. In addition, the Secretary of the Treasury may exempt from the definition of a donor-advised fund a fund that is “advised by a committee not directly or indirectly controlled by the donor or any person appointed or designated by the donor” (and any related parties), or that “benefits a single identified charitable purpose”, i.e., a field-of-interest fund. Under these exclusions, the donor-advised fund definition does not include a fund created to support the community foundation’s own discretionary grantmaking—such as an unrestricted or field-of-interest fund. It does, however, include an advised fund with a restricted purpose, such as a fund advised by the donor but limited to grants for girls or the arts. The 2006 Act imposes penalties on certain types of distributions from donor-advised funds as well as on their “excess business holdings.” These restrictions will be discussed in the following issues of Professional Notes. The 2006 Act imposes reporting requirements on sponsoring organizations, including disclosure on the annual Form 990 of the total number of donor-advised funds owned, the aggregate value of their assets at the end of the tax year, and their aggregate contributions and grants during the year. In addition, the acknowledgement for a contribution to a donor-advised fund must state that the sponsoring organization has exclusive legal control over the assets contributed. The 2006 Act also requires a sponsoring organization to give notice to the IRS in its application for exemption if it maintains or intends to maintain donor-advised accounts, and the manner in which it intends to operate them. retaining the privilege of recommending grants or the investment of assets in the fund is consistent with the treatment of the contribution as a completed gift. The report was issued in December 2011, and concluded that no further legislative changes or reforms were warranted. Even so, a proposal for imposing a minimum payout requirement on donor-advised funds remains a topic of interest to some critics of donor-advised funds. Donor-advised funds are hugely popular, in large part because they offer flexibility to donors about the timing of grants and because they free donors from the burden of recordkeeping, at a modest cost. The New York Community Trust’s first donor-advised fund was established in 1931, before there was even a name for the concept—and long before there were any specific laws or regulations. During her lifetime, this first “donor advisor” made grant suggestions. When she died, the assets remained in the named fund and became part of The Trust’s permanent endowment. That endowment supports our discretionary grantmaking program, relying on our professional staff to assess community needs, review proposals, investigate nonprofits’ projects and finances, and recommend grants to our distinguished volunteer board. With our nearly 90-year history with donor-advised funds, we’re available to help you or your clients who’d like to know more about creating a donor-advised fund. Anonymity Grants can be made anonymously. No anonymity. Charitable Tax Deductions • Cash contributions deductible up to 60% of adjusted gross income (AGI). • Fair market value deduction for gifts of securities and most capital gain assets held more than one year; deductible up to 30% of AGI. • Annual limit on cash donations: 30% of AGI. • Fair market value deduction for publicly traded securities held more than one year up to 20% of AGI. • Deduction limited to cost basis for most other gifts, including closely held stock. Cost to Terminate None. May incur substantial costs to comply with state and federal legal requirements. Investments Our staff evaluates and monitors investments, benefiting from the oversight of an expert committee. Selection and monitoring of investments is a responsibility of the board and may require special skill. Operating Costs and Fees Modest fees. Legal fees, accounting fees, excise tax, investment costs may be significant. Staffing NYCT professional staff handles vetting grantees, tax reporting, asset management, and record-keeping. Philanthropic advice is available for donors interested in grantmaking assistance. Cost of staff for grant research and record-keeping may be prohibitively expensive, especially for foundations with less than $5 million in assets. Start-up Costs None. Legal costs. Start-up Time Line Immediate. Typically months. 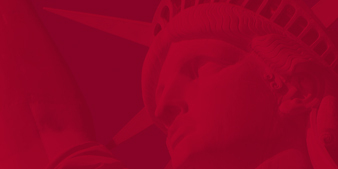 State/Federal Reporting NYCT handles state and federal reporting on a combined basis. Form 990-PF must be filed annually; state filing also may be required. -National Philanthropic Trust, “2018 Donor-Advised Fund Report,” https://www.nptrust.org/reports/daf-report/. This material was developed for the use of professionals by The New York Community Trust. It is published with the understanding that neither the publisher nor the author is engaged in rendering legal, accounting, or other professional advice. If legal advice or other expert assistance is required, you should speak to your own tax or other legal or accounting advisor.